Total modulation from 10 to 100%. Very low NOx and CO emissions. 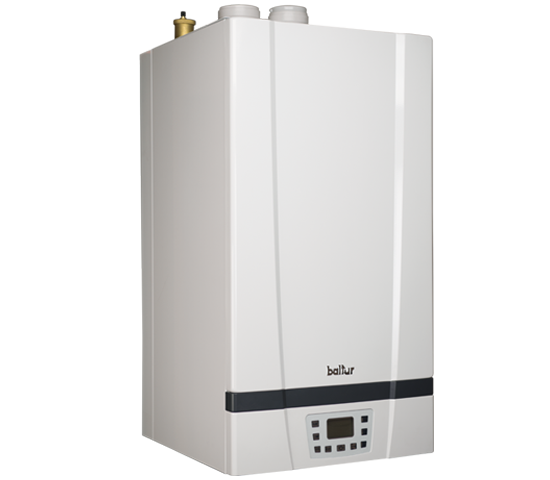 Condensation boiler for heating, set with an electrically wired connection for a remote boiler. RANGE RATED certified. Type C boiler (hermetically sealed heat generator condensation unit). Electrical protection IPX5D: it can be installed inside and outside in a partially protected place. Forced air burner with total premixing with NOx emissions in class 6 (UNI EN 15502-1). Lower emissions upon ignition and turning off due to a flame modulation ranging from 10% to 100% of Maximum power (for MK 50-70-90-115). Modulation ranging from 16% to 100% of Max. power, for MK 160 model only. Scrolling temperature operation (with optional added climate probe). Single electronic card with control microprocessor and backlit LCD display. NTC sensor for delivery and return temperature detection. High head electronic modulation circulator (ErP). Antifreeze and anti-seizure functions for circulator with post-circulation. Complete diagnostics of functions with indication of any shutdown. Prearrangement for battery operation and INAIL safety system. 3-bar hydraulic safety valve approved by CE/TUV (50/70) 4.5 90/115 160. Prearrangement for optional three-way bypass valve for switching between Heating and Domestic Hot Water, with probe for checking remote boiler temperature, for MK 50 and MK 70 versions only. (prearrangement for DHW external circulator control, for the whole range). Time programming for boiler preparation. Connections for air intake and fume discharge ducts with combustion control plugs. 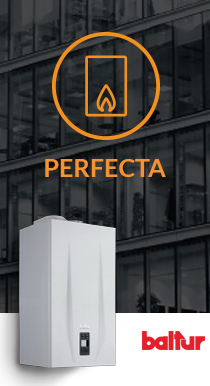 Solar management directly from the boiler with additional card (Optional). Management of mixed area with additional card (Optional) (3-point control) and/or solar system control. Wiring for control (0-10 Volt) for single installation. Smile Energy 160 and 160 SP are provided with LPG (G31) conversion kit. Sound power level (60 dB).